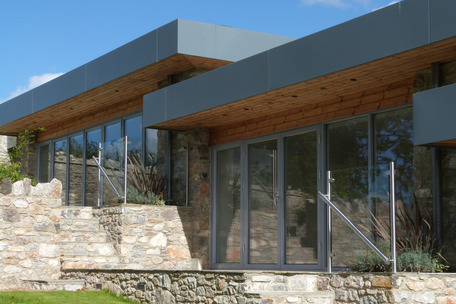 Pavilion Construction Ltd – We are a successful, independent building construction company based between Totnes and Newton Abbot in South Devon. The company specialises in; groundworks, civil engineering schemes, hard landscaping works, renewable energy projects and new build homes. 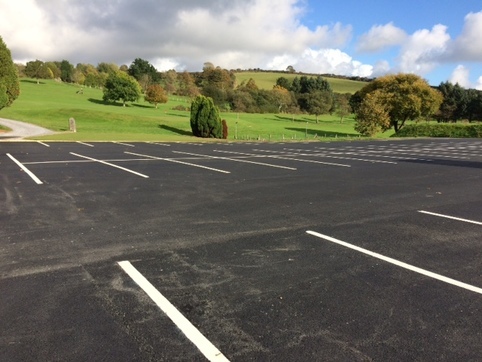 Our range of works include; bulk earthworks, site clearance, foundations, drainage, new roads, driveways, paving, retaining walls, individual new builds and bespoke extensions. We cover projects throughout the region for main contractors and also offer select works for private clients. 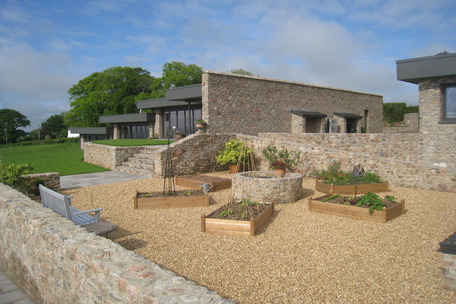 Pavilion Construction Ltd – We are a successful, independent building construction company based between Totnes and Newton Abbot in South Devon. The company specialises in; groundworks, civil engineering schemes, hard landscaping works, renewable energy projects and new build homes. 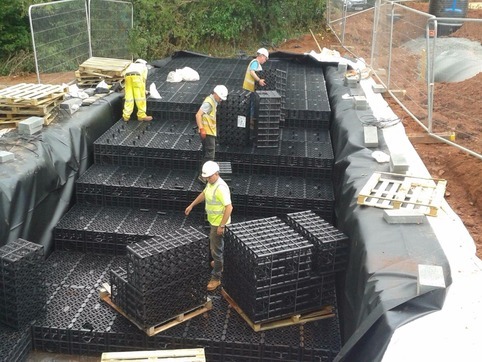 Our range of works include; bulk earthworks, site clearance, foundations, drainage, new roads, driveways, paving, retaining walls, individual new builds and bespoke extensions. 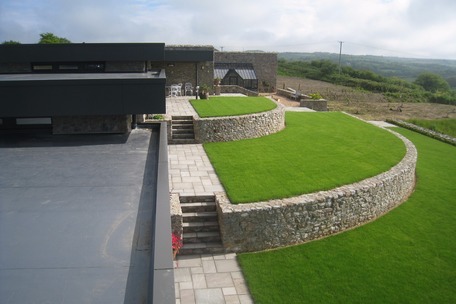 We cover projects throughout the Devon area for main contractors and also offer select works for private clients. Pavilion Homes – We are an exclusive, reputable house builder delivering high quality homes for the discerning buyer; recently gaining major awards for quality and sustainability. We have been constructing new build properties for over twenty-five years with our homes guaranteed by a ten-year NHBC warranty. Professional management of our schemes includes close liaison with architects, engineers, landscapers, designers, planners and Local Authority Building Control to ensure all aspects of our builds are delivered to high standards. 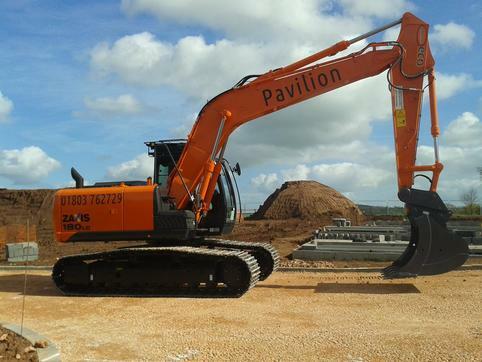 Founded in 1988, Pavilion Construction are a long established and successful construction company based near Totnes in South Devon, with contracts covering the whole of the region. The company has built an acknowledged reputation for quality of work on projects of varying sizes, our client base is varied and made up of; main contractors, private individuals, structural engineers, architects and many independent companies. Businesses include; CG Fry & Sons, Cavanna Homes, Salter & Galliford Try Partnership, Devon County Council, Kingston Estate, Mount Stuart Hospital and Whitehill Country Park. We specialise in groundworks and civil engineering works including; site clearance, bulk earthworks, roads, foundations, concreting works, drainage and renewable energy infrastructure works. We also develop and construct individual new build homes, winning three prestigious awards for our projects; an LABC (Local Authority Building Control) award 2016 and two Devon Building Control awards in 2012 and 2008. 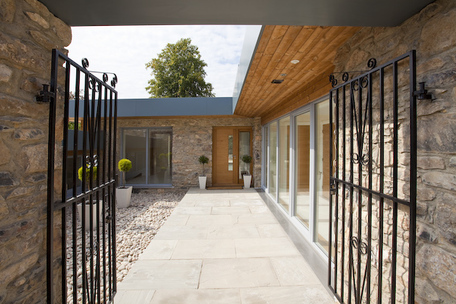 Our private client services range from; bespoke new builds, larger extensions, new roads, driveways, hard landscaping schemes including; retaining walls, patios, terraces and steps through to sustainable energy projects. The company is a member of several nationally recognised organisations within the building industry. We are NHBC registered developers with an A1 NHBC rating and are members of CITB (Construction Industry Training Board), Greenlight Safety Assessment Scheme, FMB (The Federation of Master Builders) and CHAS accreditation. Pavilion are also qualified members of the NHBC Safemark Scheme, SSG Health & Safety Scheme and Devon Construction Training Group. We employ a skilled and experienced workforce, most of whom have had many years of consecutive service with us. The training and development of our team is essential to our business, our staff all hold certified and valid CSCS or CPCS cards, construction industry led qualifications and several hold site supervision and management qualifications. Pavilion Homes was formed as a division of Pavilion Construction Ltd. The homes department has a recognised reputation for delivering award-winning quality homes in the South Devon area. We have been constructing new build properties for over twenty-five years with our homes guaranteed by a ten-year NHBC warranty. Our projects are individually designed with the emphasis on style, energy efficiency and quality. Attention to detail and customer care are an integral part of our service. We have a dedicated team of employees and skilled sub-contractors who deliver carefully designed properties with a high standard of specification and quality fittings. Professional management of our schemes includes close liaison with architects, engineers, landscapers, designers, planners and Local Authority Building Control to ensure all aspects of our builds are delivered to high standards. Our sub-contractors are fully qualified with many years of house building experience. We have developed a very good working relationship with these companies which we believe is reflected in the build quality of our homes. The company is committed to building to NHBC standards, NHBC Consumer Code and Local Authority Building Control Regulations for all our new developments. With this in mind, we approach our projects, however small or large, with concern for environmental issues, sustainability and financial viability. A combination of careful planning, good design and quality, cost-effective, energy efficient materials are key to creating today’s sustainable and comfortable living. The company has been recognised for its commitment to quality, recently winning a major LABC award in 2016 and two previous awards from Devon Building Control in 2012 and 2008 for quality and sustainability. In addition, Pavilion holds an A1 NHBC rating. Pavilion aims to engage in sustainable construction, with experience of renewable energy technologies and sustainable building materials. We provide a personal and professional service that is friendly, helpful and efficient. Our staff undertake regular, on-going training in their respective fields and we are recognised for the high standards of care and attention given to our clients. We always seek to ensure competitive quotations whilst maintaining our high standards of quality and service. 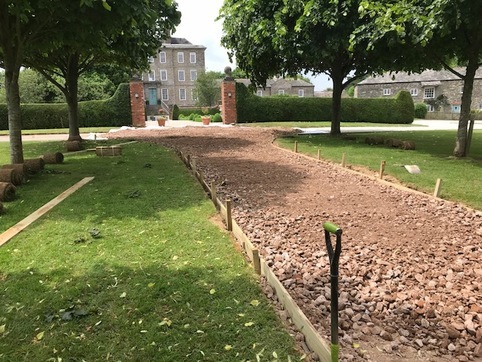 Pavilion is managed and run by director Matt Fice, who has over 40 years experience and expertise in the project management of groundworks, site construction and house building. He is assisted by a team of professionals who are committed to providing an excellent service to our clients.